A four week opportunity for anyone with Yoshinkan Aikido experience to come back and train for free. 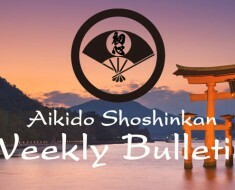 People take time out for different reasons and then usually find it hard to come back to Aikido, well here is a great way to do it at your own pace. All the classes with be taken by Sensei Andy. For anyone interested, please get in touch with the dojo to find out more information. You know you will be very welcome.